The Pebble Beach neighborhood of Country Club East is situated to the east of Monterey Peninsula Country Club’s Shore Course, though it is home to several fairways belonging to the club’s Dunes Course. Homes along 17 Mile Drive have gorgeous golf views and are often sprawling homes on large parcels that are walking distance to the beach. Overall the neighborhood is quiet and peaceful with homes nestled on oak lined lanes and the towering pine and cypress trees of the Del Monte Forest. The neighborhood of County Club East is bordered by Congress Road to the east, 17 Mile Road to the West, Forest Lodge Road to the North and Lopez Road to the South. Within the confines of the neighborhood you will find Forest Lake, a reservoir which stores recycled water for irrigation and valuable firefighting purposes and helps protect habitat in the Carmel River and Pacific Ocean. It is currently undergoing improvements to increase its capacity so that it will be able to store a substantial amount of water to use during the summer months, reducing the use of potable water. Homes are located within the excellent Pacific Grove School District as well as just miles from Stevenson, a co-educational boarding school with an exceptional academic program, faculty and learning environment. 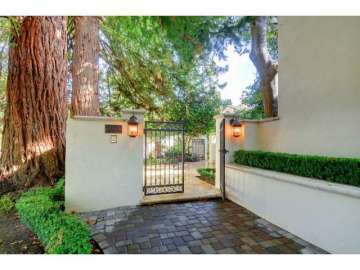 Click here to preview all Pebble Beach homes for sale in the Country Club East neighborhood. For all available Pebble Beach real estate, click here. 43 homes sold in this neighborhood in 2018. The most expensive home to sell was a modern residence located on the 6th hole of the MPCC golf course, featured 3 bedrooms, 3.5 bathrooms with 3,325 SqFt of living space on a 11,700 SqFt lot and selling for 2.7 million. The least expensive home sold for 865K for a 3 bedroom, 2 bathroom home with 1,556 SqFt of living space on a 10,500 SqFt lot. 37 homes sold in this neighborhood in 2017. The most expensive home sold for 2.125 million for a 4 bedroom, 2.5 bathroom, Spanish Mediterranean home with 4 bedrooms, 2.5 bathrooms, 2,750 SqFt of living space on a 10,500 SqFt lot to 658K for a 2 bedroom, 2 bathroom, Ocean Pines unit with 1,272 SqFt of living space and Ocean views. In 2016 29 homes sold in this neighborhood. The most expensive home to sell, sold for 1.96 million and was a 4 bedroom, 3.5 bathroom property with 3,531 SqFt of living space on a 10,899 SqFt lot located across from the 18th green of MPCC’s Shore Course. The least expensive home sold for 600K and was a 2 bedroom, 2 bathroom 1245 SqFt condominium in the Ocean Pines community. 37 homes sold in in this neighborhood in 2015. The most expensive home sold for 2.1 million and was a 4 bedroom, 3 bathroom, 3,018 SqFt Craftsman style home on a 10,200 SqFt lot while the least expensive home that sold, sold for 790K and was a 3 bedroom, 2 bathroom single-level 1,616 SqFt home on a 9,200 SqFt lot. In 2014 there were 32 homes sold in the Country Club East neighborhood. The most expensive home sold for 2.68 million with 4,933 SqFt of living space located on the 3rd fairway of the MPCC Dunes Course. The least expensive was a 1,309 SqFt home on a 9,800 SqFt lot, which sold for 580K. There were 32 homes sold in the neighborhood in 2013. The most expensive home sold was a 4 bedroom 4 bathroom home with 4,452 SqFt of living space on a 11,235 SqFt lot, which sold for 2.05 million. The least expensive was a 1,291 SqFt “fixer” property, which sold for 579,143. 34 homes sold in this neighborhood in 2012. The most expensive home sold for 2.025 million and was a 2,927 SqFt, 5 bedroom, 4 bathroom home on a 9,300 SqFt lot situated along the 3rd hole of the MPCC Dunes course. The least expensive home sold in the neighborhood in 2012 sold for 538K and was a 1,474 SqFt 3 bedroom 2 bathroom home, situated on a 9,300 SqFt lot without views. To live in County Club East is to experience living the Pebble Beach lifestyle. You are just minutes from 7 world renowned golf courses, a quick bike ride or jog to the ocean, and have a front row seat for the finest Pebble Beach events. As you drive home, waving a friendly hello to the guard at Country Club Gate, your neighborhood will welcome you with majestic oak trees laced with Spanish moss and gentle curving roads. The fresh forest air mixed with the ocean breeze is refreshing and rejuvenating. Once home you may decide to go for a stroll down to the beach or through the marked forest trails, or perhaps head to the nearby Inn at Spanish Bay for a casual meal at Sticks restaurant where you can hear the bagpiper play each day at sunset.